Seat's lineup currently has one SUV/crossover, the Ateca. After adding two more, SUVs are soon expected to account for 35% of the Spanish brand's sales, up from 5% last year. Volkswagen Group's once-ailing Spanish brand, Seat, cured itself last year of a chronic problem -- losing money. This happened thanks in part to its successful entry into one of the hottest segments in Europe. Now it is counting on an even heavier dosage of SUVs -- two more launches in the next two years -- to become a reliable profit machine after 11 consecutive years of financial losses put the brand’s future in doubt. 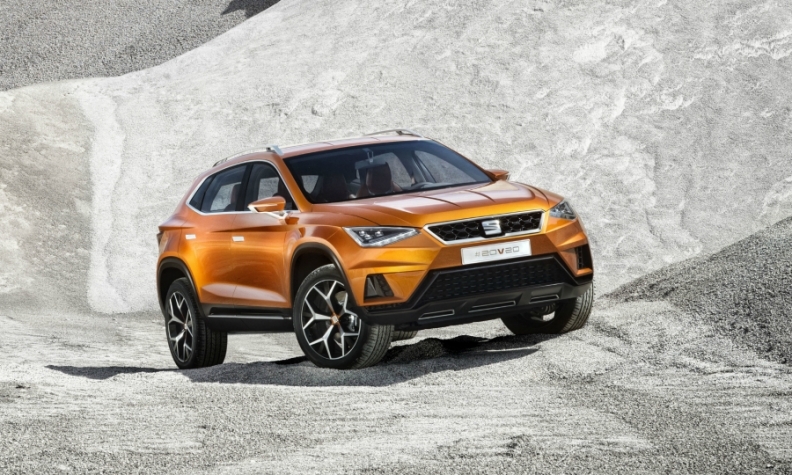 Seat CEO Luca de Meo is feeling bullish about his SUV-driven strategy because of strong demand for the automaker's first-ever crossover, the Ateca, which in less than six months of availability last year accounted for about 25,000 of Seat's nearly 410,000 overall sales. The Ateca also finished 2016 as Europe's 14th ranked compact SUV/crossover, playing a key role in the overall segment's 21 percent increase in sales to 1.44 million. The Ateca will be joined by the Arona subcompact SUV this year followed by a midsize crossover due in 2018. Growing to three SUVs from zero will expand Seat's coverage of the European market to 72 percent from 53 percent, de Meo told Automotive News Europe. De Meo wants SUVs to account for 30 percent to 35 percent of Seat's global sales, up from 5 percent last year, because he knows it will help Seat maintain its financial well-being. Subcompact SUVs such as the Arona have a transaction price that is 15 percent higher than same-sized hatchbacks, figures from market researcher JATO Dynamics show. Industry sources say that about 4 to 6 percentage points of this premium translates into higher profits for automakers. In the compact segment, the additional margin ranges from 8 to 10 percentage points. Some of this comes from strong customer demand for models with higher specifications, something that Seat is already seeing. "Over 36 percent of the Ateca sales are with 4wd," de Meo said. 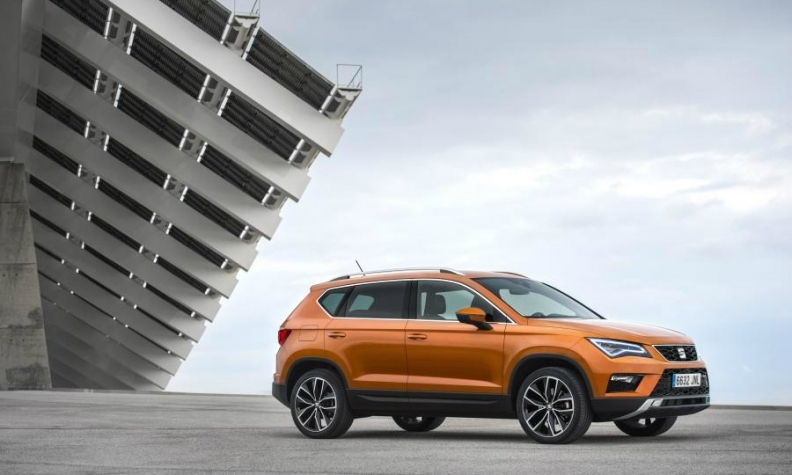 Because of the Ateca's arrival, efficiency improvements and a rebound of its core southern European markets, Seat overcame its heavy reliance on low-margin small cars -- 42 percent of its total volume last year was from minicars and subcompacts -- to report a 143.5 million euro operating profit. Revenue rose 3.2 percent to a record 8.6 billion euros and Seat had an operating margin of 1.7 percent. By comparison, the VW brand's margin was 1.8 percent last year. Seat's financial turnaround, which happened less than 2 years after de Meo's arrival, came at a crucial time. When VW Group moved the Italian executive from head of sales at Audi to the top job at Seat in September 2015, the parent company was facing the biggest business crisis in its history. With massive legal bills and costly fines looming because of VW Group's admitted cheating on emissions tests, several experts suggested that struggling Seat should be closed. That way a potentially cash-strapped VW Group could focus on its more profitable Czech subsidiary, Skoda. Although Seat's return to profit has reduced speculation about the brand's future, there are still some who believe VW Group would be better off without the automaker. "The short-term pain of terminating the Seat brand would probably end up helping the group's focus, pricing and profitability in the long run," said Max Warburton, an auto analyst at Bernstein in London. "The brand means almost nothing to consumers. Building it into something truly profitable and viable is not totally impossible -- it's just going to cost huge amounts of time, money and other resources. Resources that could be used better elsewhere in the VW Group." Arndt Ellinghorst, an auto analyst at Evercore ISI in London, has a different view. "Keeping Seat was the right decision," he said, adding that "closing down Seat is too expensive in any case." The mixed opinions from analysts don't worry de Meo. He says he has the full support of the VW Group because design-driven, connectivity-oriented Seat has the youngest average customer age of any brand in Europe -- about 43 years old -- and 70 percent of its sales are conquests. "We must play on these strengths to better differentiate Seat within the group and to become a gateway for the group's other brands," de Meo said. De Meo is also confident about Seat's future because the Ibiza subcompact will be the first car to use VW Group's new MQB-A0 platform and his team will engineer and manufacture Audi's Audi A1 replacement in Spain. "Seat is extremely efficient with its r&d budget. Not only because we have never had so many new projects going on at once, but also because I continually get calls from other VW Group companies asking us to engineer vehicles for them. We are recognized for being quick and highly cost effective," de Meo said. Despite de Meo's sense of security, Seat remains in Skoda's shadow. VW bought Skoda in 1991 and Seat in 1986 and three decades later VW Group's two entry brands deliver very different results. Skoda last year sold nearly twice as many vehicles as Seat. The Czech brand's operating margin was almost 10 times higher (1.2 billion euros) and its 8.7 percent operating margin even topped VW Group premium brand Audi. Even de Meo's stretch target for Seat is about half what Skoda produced last year. A key reason for de Meo's modest long-term operating margin goal of 1.5 percent to 4.4 percent is Seat's limited reach. Last year, Seat counted on Europe for 94 percent of its vehicle sales. Skoda, meanwhile, recorded more than 30 percent of its sales in Asia-Pacific. "Skoda began to internationalize when Seat was still struggling to recover financially. On top of this, I think – and the VW Group board agrees – that it would be wrong if all brands play in the same field," de Meo said. To help make Seat more international it has been picked to lead the VW Group's in Algeria, starting with the new Ibiza in the second half of the year. Bernstein’s Warburton thinks that Seat's 4.5 percent margin target is realistic if car prices in Europe remain strong and mass market automakers continue to make money in the region. Evercore ISI's Ellinghorst also believes Seat can reach its goal, but for that to happen he said the brand will need to be given more freedom to stand on its own. "Too often, Seat has been the training ground for VW's German management bench," he said. De Meo knows that achieving his margin target depends on the success of his growing family of SUVs, especially the biggest member of the family, which the executive has been pushing for since he arrived at Seat. "I was convinced that to move Seat to the next level a midsize SUV would be much more profitable than a midsize sedan," de Meo said. "When we made our pitch to get the model our proposal was like something you would see from an ad agency. Our message was: 'You cannot prevent us from doing this because it is just too good'." The midsize SUV, the first new Seat model fully conceived under de Meo's watch, will be built at VW brand's main plant in Wolfsburg. It's a move that Evercore ISI's Ellinghorst fears might be more about filling capacity at VW brand's main plant than it is about boosting Seat's profits. Nevertheless, it wasn't that long ago that the idea of VW making a model for once-sickly Seat in Wolfsburg would have been considered preposterous. Not anymore.